The Restitcherator: My newest toy - Accuquilt GO! 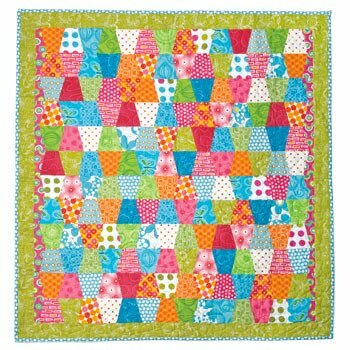 If you follow me on Twitter, you know that right after Christmas I scored an Accuquilt GO! at Joann for the amazing price of $199. I guess it was Christmas gift to myself. I had been complaining about not being able to cut anything straight. Funny thing is, just as I was getting better at cutting, I bought this really fun machine. I was trying to figure out what to try first with it. It comes with one template, that has squares and triangles, but I wanted something more. 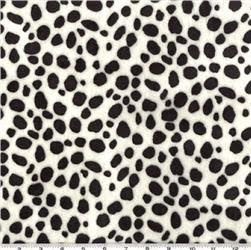 After scouring the internet, it seemed that the lowest prices for the templates was on SewVacDirect. I have been itching to try tumbling blocks, so I bought a 6 1/2" tumbling block template. I'm just going to make something simple like this free pattern from the GO! website. The cutter works exactly like the company says it does. It actually seems to cut better with more layers of fabric. I could easily get six tumbling blocks out of each fat quarter. I didn't even have to cut it, just fold it. I was able to cut around 75 pieces in, maybe 35-40 minutes. WAYYYYY faster than I could have cut on my own, and for SURE much more exactly than I am able to cut. What was left, because the tumbling block is not square, were these great scraps. Lots of pieces, plenty wide enough and long enough. They are going right into my next experiment, wonky blocks! As great as this machine is, and as happy as I was to get the pieces cut out that quickly, I know I won't be using this for every project. First of all, the templates can get pricey. And, to be truthful, I almost felt like I was cheating. I didn't get quite the same level of satisfaction as cutting the pieces myself. Net, net, I LOVE the machine, and I'm very happy I bought it, but I won't be using it for every quilt I make. If I'm making a special shape, or I need to make a top quickly, the Accuquilt GO! is for sure the way to go. I think your quilt will turn out great with the fabric you picked out. Your quilt will look great with the fabrics you picked out.